Dear Street Smart: Smart you are indeed! Google Street View imagery can be used to texture SketchUp models in a few easy steps. Have a look at this post by blogger and 3D modeler Aerilius. 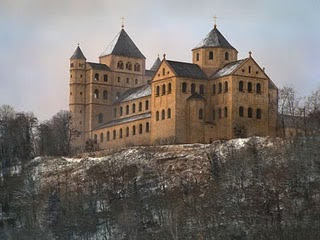 It's a final look at a series of reconstructions he has done of the Limburg monastery. The post includes roll-over photos of the ruins that "reveal" the reconstructed building (done in SketchUp and then beautifully rendered, and stitched seamlessly into the photos). I've been adding some new collections of 3D models to the 3D Warehouse. You can check out all the collections here. I came across this remarkable image on the BBC News website. 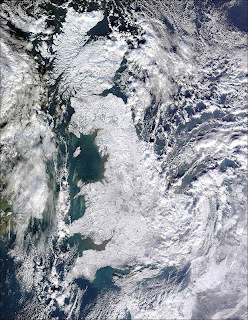 It is Great Britain, seen from space, in its current frozen state. Looking at all that ice I had to wonder to myself, where are the cities? Where is London? Birmingham? Leeds? Grasmere? How about Carlisle? And Dublin, Dundee, Humberside? Apparently frozen, too. With Google Earth it was a (cold) snap to find out exactly where the towns lie beneath all that white. I simply used the "Add Image Overlay" feature as seen below. By saving the frozen Britain image to my desktop, I was able to import it to Google Earth as an overlay and position it (using a series of green "handles" and a transparency slider) until it matched exactly the shape of Britain in Google Earth. When I was done I saved the place and gave it a title (now it appears in "My Places") and I turned the transparency back to 100% opaque. Last of all, in the sidebar I turned on "Borders and Labels" to see where cities and towns were on top of the "frozen Britain" image. Brrrr! Today's post deals with sharing your geo-models in the most attractive way on the Google 3D Warehouse. I offer my opinion about the best ways to do it, and hopefully this will lead to more views for your models. When I receive a model suggestion that doesn't fit in a collection, I either send an email suggesting ways to improve the model presentation, or else I add the model into the More Good Models collection (a collection for models that are good but not matching my other collections). 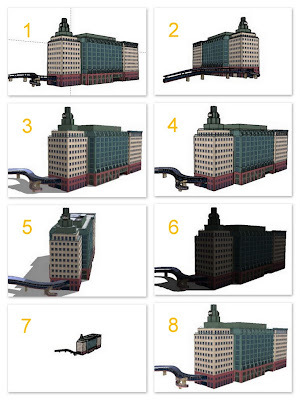 This is my own model of the ABC Television Building posed in various ways. I'll use it to compare the relative strengths and weaknesses of thumbnail illustrations (click image for larger view). Google has created a set of very highly detailed models for the 2010 Winter Olympic Games in Whistler, British Columbia, Canada. Check out the one above and all the others here. Burj Khalifa, new record-holder for world's tallest building, opens today, January 4, 2009, in United Arab Emirates. Apparently there has been a name switch from the previous "Burj Dubai." I imported a model of a previous record holder, The Empire State Building (by Google), into a model of Burj Dubai/Khalifa (by Fadlulloh) for comparison. It's quite a large building. There's a new model collection on the block called "2010s"... and it's empty! Please visit the collection and make suggestions via the link. You can see the 2010s collection right here. It's also part of the "Models By Decade" collection. I'll be adding my personal favorites and ones that match the criteria outlined in the collection called "My Favorite Thumbnails." Happy New Year (and decade). Just a quick post about the Island... as a young blog, a significant percent of the Island's visitors are new viewers. 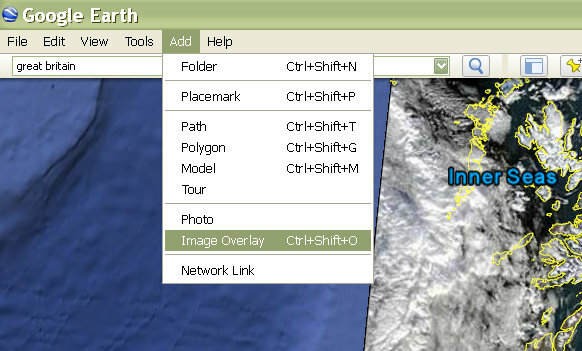 Since there is so much good stuff to look at, I'd like to point out ways you can easily explore the blog. Recent comments. Jump to any comment with one click. Archive. Click on the archive if you'd like to browse all archived posts. Search boxes. This will point you to your query results here on the blog, on items linked to and from the blog, and on the web. Subscribe. Keep up-to-date with new posts and comments by subscribing to the feed or by adding our gadget to your iGoogle home page. Reader Comments. Often readers leave remarks, news, and links to items of interest. Click on "comments" below the posts or leave your own. No spam, please! Blogs and Feeds of Interest. Run out of things to read here? Then check out some of my favorite blogs and feeds, constantly updating in the side column.